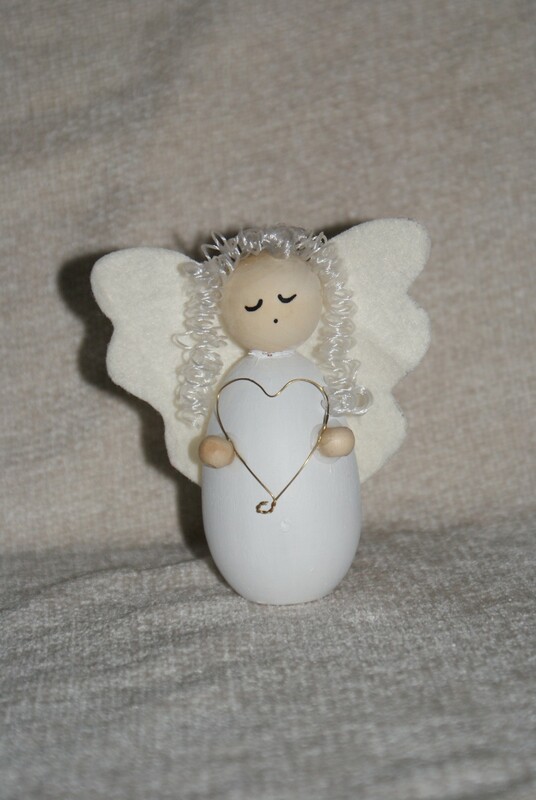 This sweet angel has a heart of gold, she stands approximately 6.5cm or 9cm high on a flat surface, she serenely watches all the festivities going on around her. 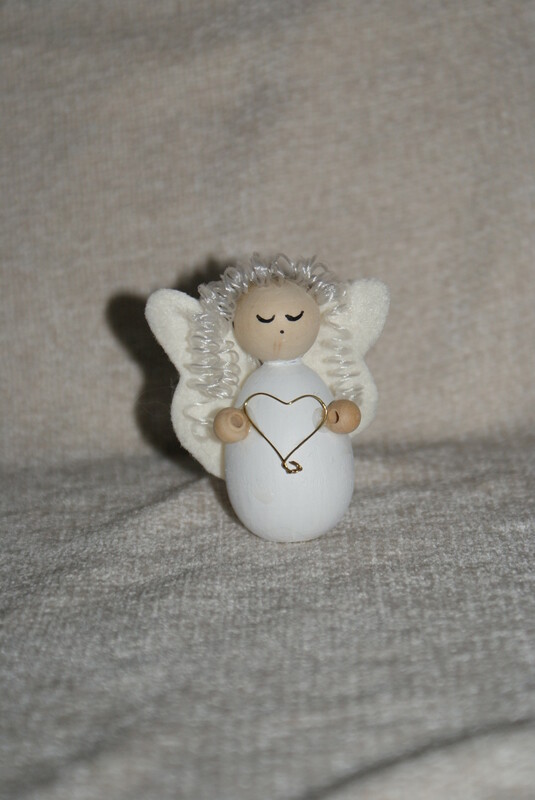 She has a white wooden body and in her hands she holds a heart of gold (brass wire). She wears a neck-let of gold (Brass wire) and has a tussle of white woolhair which cascades over her white felt wings.